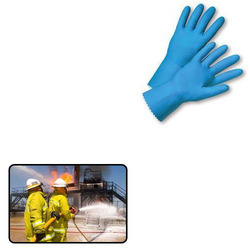 Offering you a complete choice of products which include protective glove for fire industry. We are the prominent manufacturer, distributor, and supplier of a wide range of Protective Glove for Fire Industry. The offered protective glove for fire iIndustry is obtainable in diverse sizes to cater to the specified details of customers. Also, this protective glove for fire iIndustry is manufactured with quality assured material and cutting edge technology in compliance with market prevalent norms. Looking for Protective Glove for Fire Industry ?